The amendment will INCREASE per pupil funding for public schools in Georgia-traditional AND charters. 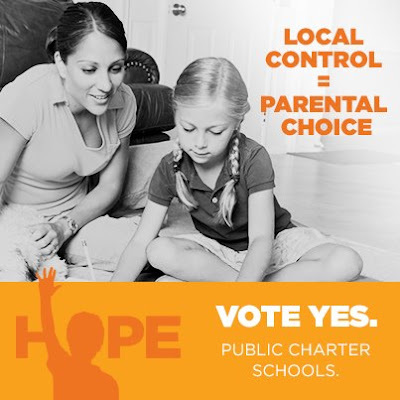 Voting yes means more PUBLIC school options for parents, students, and communities. All charters in Georgia are public. Charter schools are ACCOUNTABLE. All charter schools must meet the performance standards listed in their charter. A charter school must demonstrate COMMUNITY SUPPORT and desire in order to be approved. No unwanted charters. Voting yes means INNOVATION in schools. Charter schools have the flexibility to do what it takes to best serve their students. Charter Schools are closing the ACHIEVEMENT gap. More low income and minority students are served by charter schools. Georgia charter schools offer OPPORTUNITY to parents whose children are stuck in failing schools.